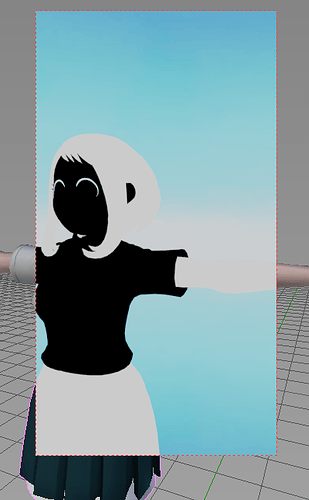 Hi, what nodes do you use to have textures and the toon effect? thanks for the info, but I am having trouble to get it to work. 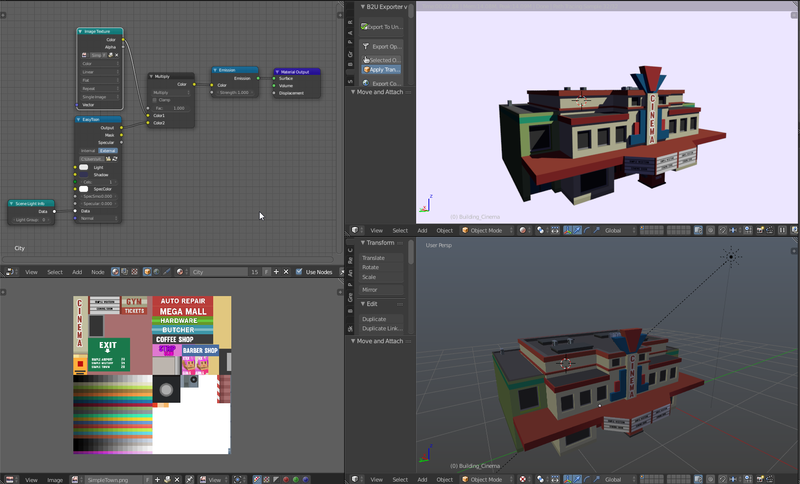 Would you have by any chance a screenshot how that setup would look like in the node editor? Thanks so much, that helps a lot. In fact I went trough all your included samples and something about that topic was missing. So the Easy Toon node is working quite well but how woud i go ahed when i want to add a Lineart node as well? Then another question: I have a low poly model which has some normal and displacement maps in order to add detail to it while rendering. 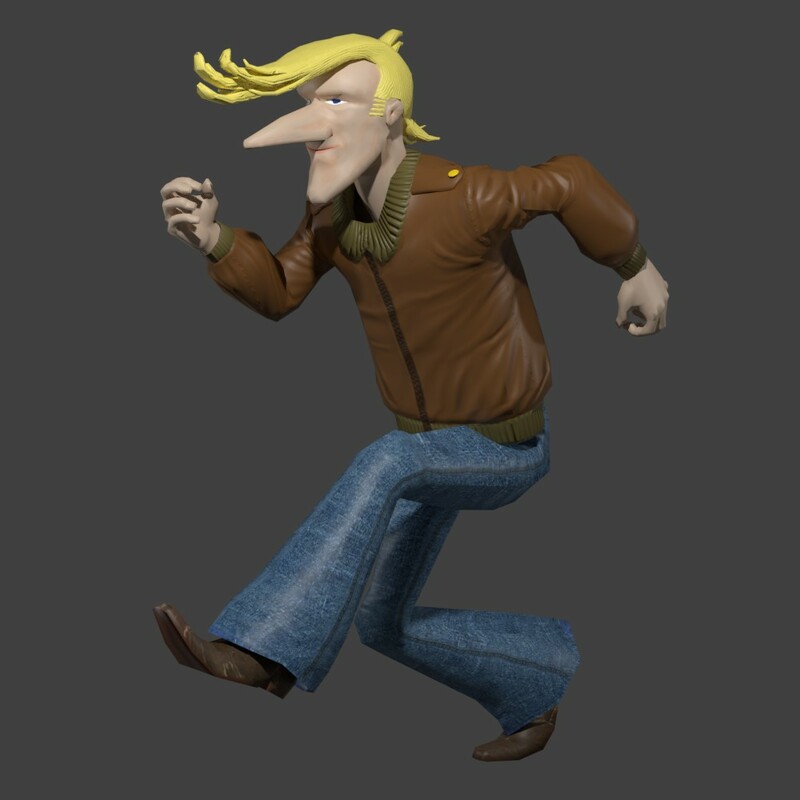 Is there a way to use the normal / displacement map also and turn the effect they cause into a toon shading effect? Can you send this model to me as PM? I would be happy to make a sample for you. Hi @vitorbalbio - I recently picked up Toonkit and really like it! For fun I took my Corvette model from the Hard surface course and tried out the line rendering options. I really didn’t fiddle with the settings too much so there is likely a lot more I could do - but I was really pleased with the results. i guess thats your first name. I will preapear a zip containing scene, model and maps. I will send it sometimes today. So I’m trying to add textures onto a model I’m using and I have to ask, how do I fix this white shading I’m getting so I can actually see the texture (it’s the hair, arms and skirt, the eye ridge was like that before I started applying the textures)? I’m using the EasyToon node setup like this, and while it worked for me before, it doesn’t want to now. Make sure you have a lamp at this scene. If it works with the Light color will work with the Texture too. 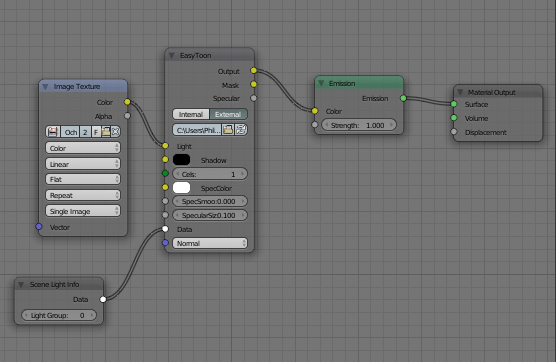 You can also mix the easytoon result with the texture with a mix (multiply) node. Do you ever have sales on Toonkit? I’d love to support you but this would be a small part of a part-time hobby that might see me play with it a few times a year. Not that $50 is a lot, but if you do have occasional sales, I’d certainly wait for that. How many people are you, you pop up awesome commercial projects like mushrooms ? What kind of magic juice you drink to get so productive ? JWise We participate in all blendermarket sales. I do not know if there will be any soon. Lineart from Vertex color seems to be missing from the new Lineart render settings. I’ve added lights, and I’m still seeing the same result. And I don’t know what you mean by “If it works with the Light color will work with the Texture too.” or the whole mixing thing if the result I come out with is nothing but a solid white. Philmister978: Please contact us inbox in blendermarket with a sample file. We have a nice channel for support, doubts and suggestions there.